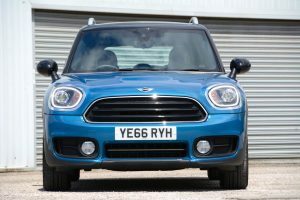 The new MINI Countryman is larger and more refined than the last model, and the Cooper D offers decent economy, but is the sense of MINI adventure still there? 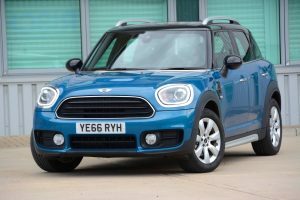 The last generation of MINI Countryman was the brand’s first SUV and at launch we rated it highly, as we believed lots of people would love the combination of the MINI driving experience and MINI styling in a body style that was more practical for families. 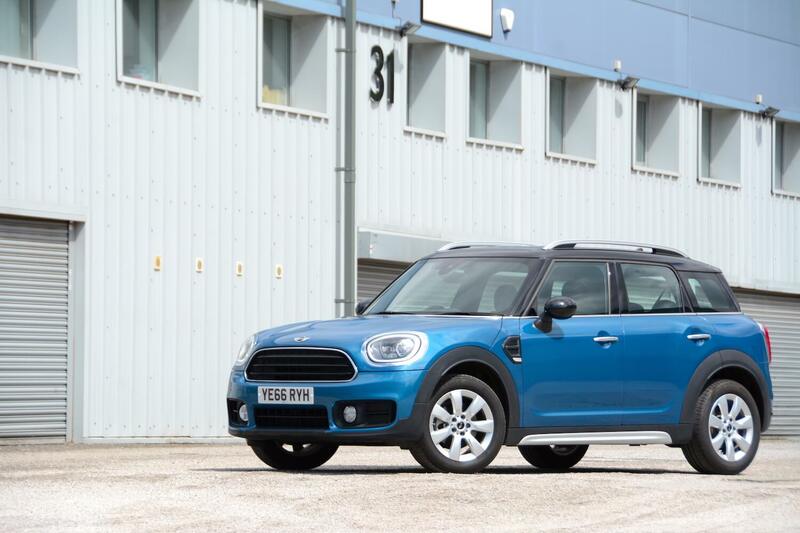 So has the new MINI Countryman achieved a similar step forward? 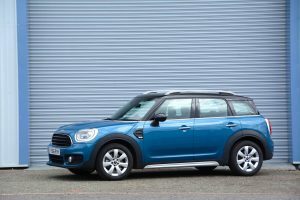 The MINI Cooper D Countryman as tested came with a 4 cylinder, 2-litre diesel engine, a 6-speed manual gearbox, and front-wheel drive. In other words, this is the model in the range that promises the best economy for long journeys. 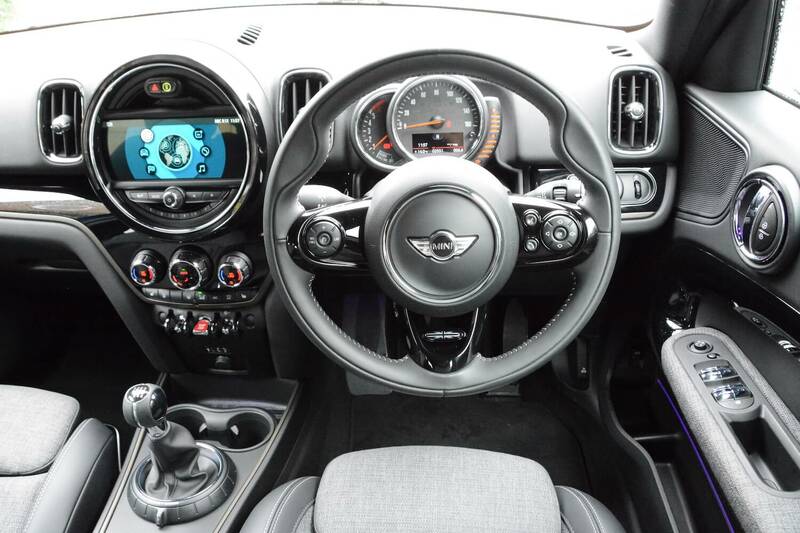 Inside, the dashboard has retained the MINI sense of fun design, but has improved in terms of moving more upmarket and also in the area of functionality, with a more sensible arrangement of buttons to operate items such as the infomedia system. 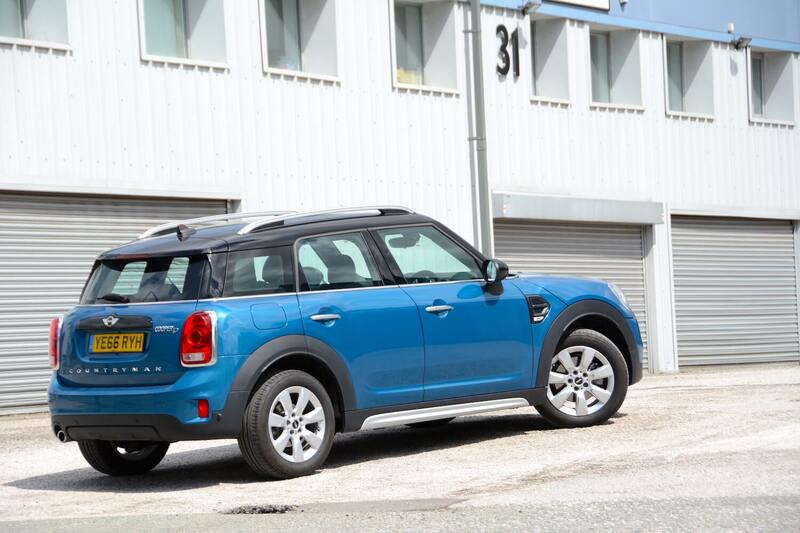 Overall the Countryman remains relatively compact on the outside, but with space for a family of five on the inside. 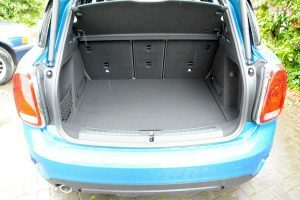 The boot is bigger than in the last model – which is a key contributing factor in the increase in the car’s overall length. 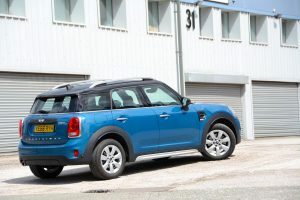 We thought that the last generation of MINI Countryman looked great, with curvy MINI design combined with an SUV-style body, but the styling of the new Countryman seems to have lost its way – it doesn’t seem to fit in with the MINI design DNA. With its collection of creases in the bodywork rather than MINI curves, the styling looks too fussy for a MINI. It seems like an opportunity has been lost to move forward the styling of the last Countryman by a more modern combination of traditional MINI styling details and the outdoor SUV appearance that everyone seems to want. Interestingly, this styling came from a period when there was a lack of leadership at the top of the MINI design department, and we think you can see this with the end result of this car. 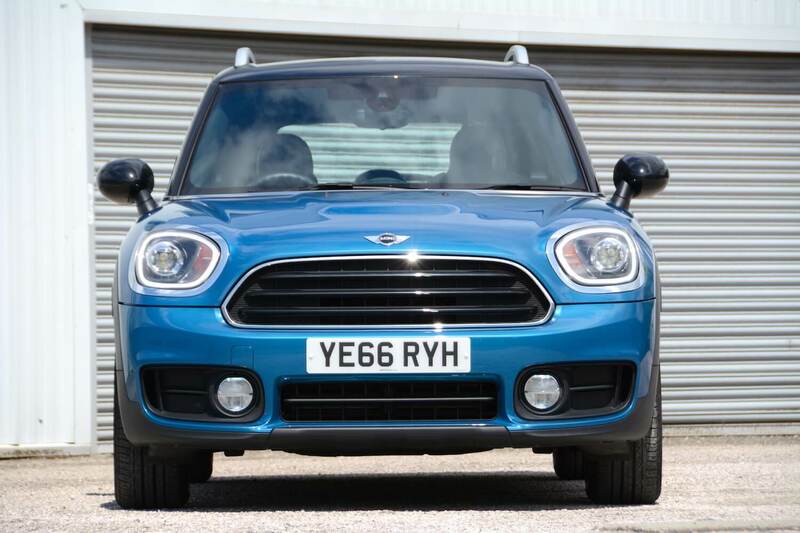 In our view, the previous generation of Countryman looked good and retained some fun-to-drive MINI Hatch characteristics (yes, the famous ‘go-kart handling’). However the diesel engine was coarse and the suspension was almost non-existent – especially if the car was fitted with large alloys. How do we know this? Because we owned a Countryman for three years – an all-wheel drive Cooper SD. So it’s with relief that we can report that the new Countryman has a new diesel engine, which is much more flexible and refined than the last one, the ride comfort has also been improved, and overall it’s quieter. 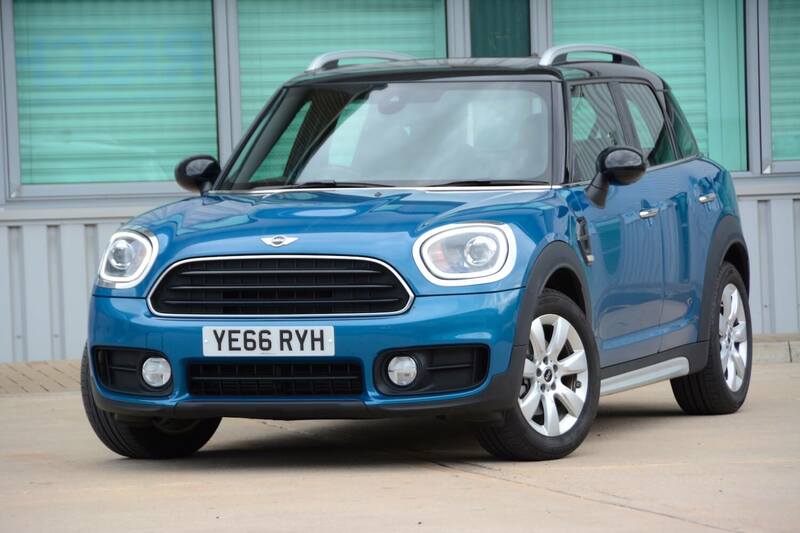 The Cooper D is the model to choose if you want good economy on long journeys. However the Countryman is relatively large and heavy (it weighs 1480 kg), so performance and agility aren’t what they should be with a MINI. Compared to many other rivals in this segment the Countryman does still offer more of a fun driving experience thanks to some direct feel in the steering and an element of sharpness in the handling. 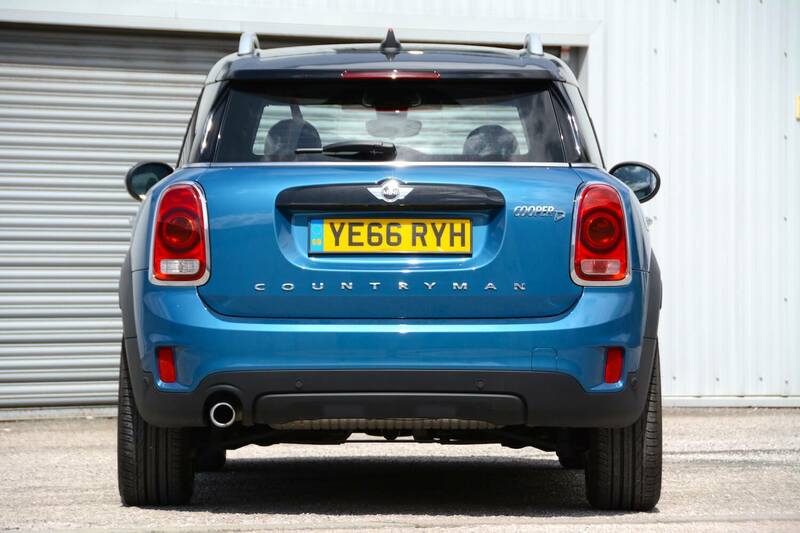 However the new model loses some of the headway in this area compared to the old Countryman. In place of fun, it has grown up – in terms of the driving experience as well as physical size; and many potential buyers may prefer a car that easier to live with over a car that’s fun. Our test car came with the manual 6-speed gearbox, which isn’t great, and it’s easily possible to select reverse rather than first; the automatic option is better. And our Cooper D model was front-wheel drive, so it’s possible for wheelspin to result when pulling out of junctions in wet weather. This isn’t much of an issue with a MINI Hatch, but it doesn’t seem appropriate for a family SUV. 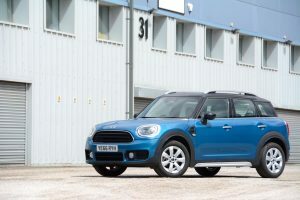 The official combined economy figure for the MINI Cooper D Countryman is 65.7mpg, equating to 113g/km CO2 (although the emissions for our test car, with its 17-inch wheels, were 118g/km). Our best economy result was an indicated 77.3mpg on the ridiculously long 50mph roadworks stretch on the M6. Overall, after a week of mixed driving, we averaged 51.6mpg. The fuel in the tank seemed to last forever, and upon checking the options list, we noted that the car was fitted with a larger capacity fuel tank (£50). Are German manufacturers really now fitting small fuel tanks as standard, with the need to pay extra for a larger fuel tank? 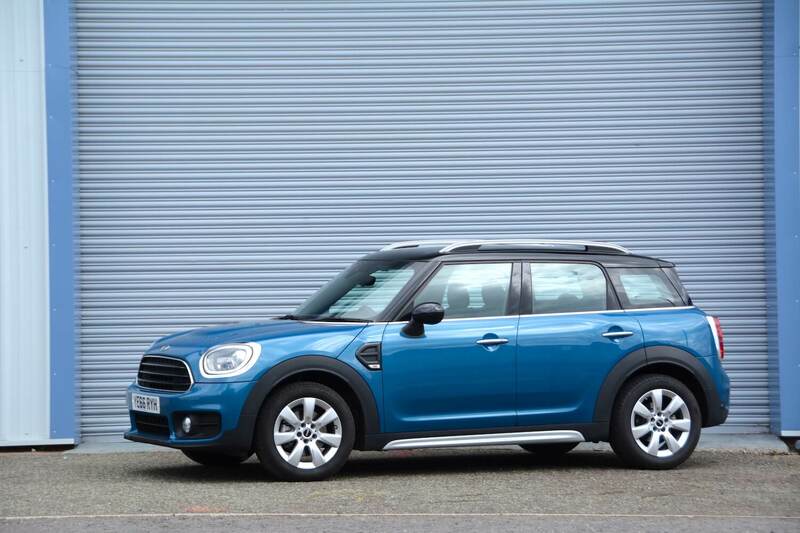 The MINI Cooper D Countryman costs £26,020. Our car had a number of options, including Media Pack (£950), Chili Pack (£2,980) (plus 17-inch alloys – £210.00, and leather steering wheel – £125.00), larger capacity fuel tank (£50), powered bootlid operation (£375), Chrome Line interior (£130), Anthracite Roof Lining (£150), Piano Black Interior Trim (£155), Picnic Bench (£150.00), and sliding rear seat bench (£300). All the options totalled £5,575, plus Island Blue metallic paint (£550), bringing the total for the car to £32,145. You can buy a diesel Countryman, a petrol Countryman, or a plug-in hybrid Countryman. There’s manual and automatic transmissions, and front-wheel drive or all-wheel drive. 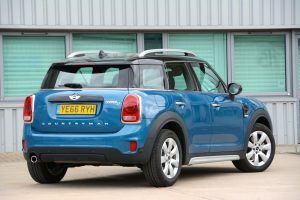 The MINI Cooper D Countryman is the sensible option, but the all-wheel drive petrol is the fun option. We liked the previous generation MINI Countryman, even with its rough diesel engine and the uncomfortable ride. The styling of the new model is too fussy in our view, and although the car and the driving experience have both grown up, some of the fun has disappeared. The lack of fun in our test car – the Cooper D – is offset by the promise of reasonable efficiency on a long journey – although even Euro 6 diesels aren’t recommended for urban use due to the issue of local air quality. Overall, the new Countryman doesn’t seem to be as much of a leap forward as it could have been. We’d have preferred the previous curvy exterior design to be retained, making it more SUV-like, with the rest of the car made more refined. However, we’re hoping that there’s some good news. There’s also a plug-in hybrid model – the MINI Cooper S E Countryman ALL4. 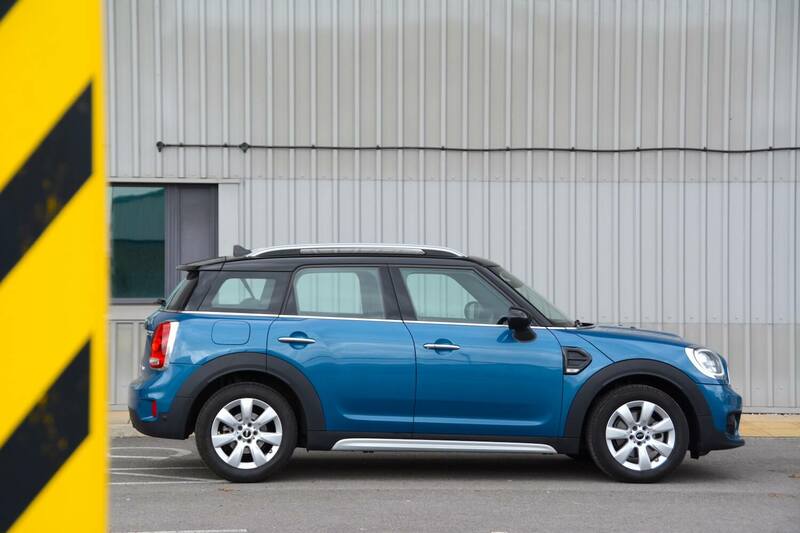 We suspect that a plug-in hybrid powertrain will suit the driving cycle of many Countryman owners – ie. the school run on electric power, with the petrol engine for trips into the outdoors at weekends. Electric power is also likely to make the Countryman into more of a fun car to drive – as well giving it zero emission potential. And with the ALL4 ability, this model promises to offer some MINI Adventure. So we’re currently waiting to test the Countryman plug-in hybrid and we’ll report back very soon. 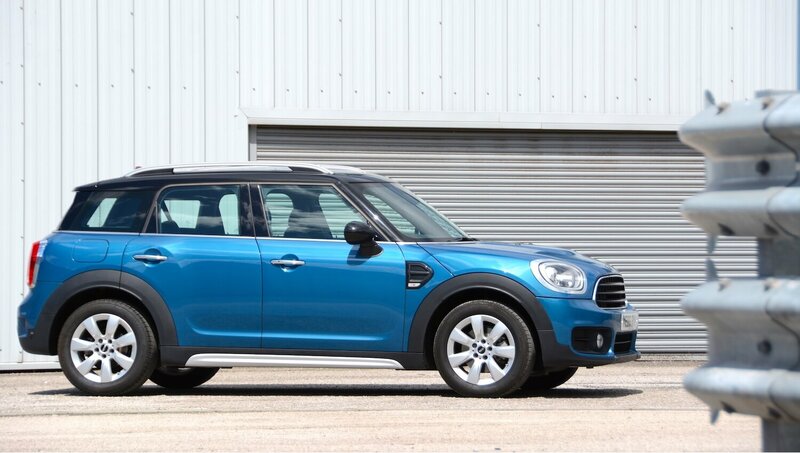 In the meantime the MINI Cooper D Countryman is awarded a Green Car Guide rating of 8 out of 10.